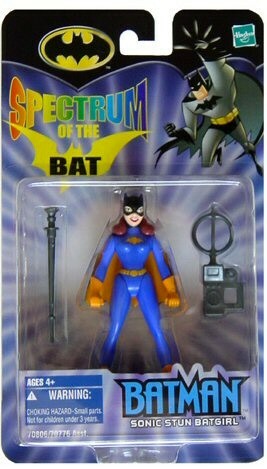 Batgirl may be the ultimate feminist action figure. According to Mike Madrid, author of The Supergirls: Fashion, Feminism, Fantasy, and the History of Comic Book Heroines:"she wears his symbol on her chest, but she is not his girlfriend or faithful handmaiden [because of the fact she does not pursue a romantic interest in Batman] Batgirl is a female Batman can actually regard as a brilliant peer and a partner in the war on crime, the same way he would a male." Who better then to inspire your girl to fight the back guys and let good prevail? Batgirl may always have been a marginal character, but in your daughters hands she can take center stage. 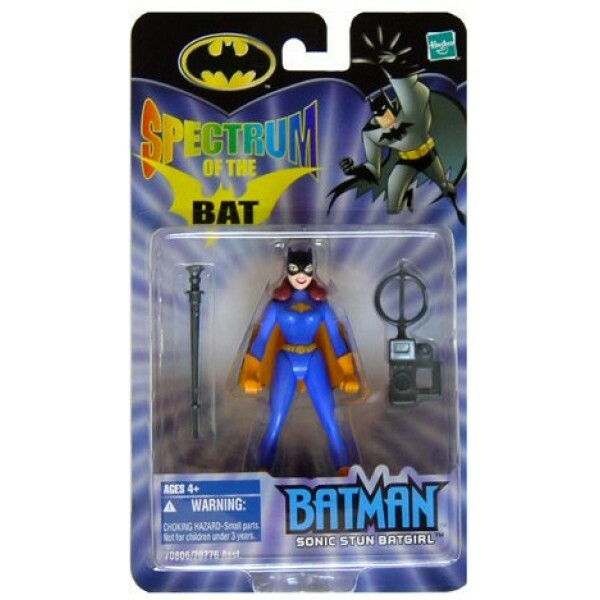 This figure is fully articulated and comes with two accessories as shown, this figure was released by Hasbro in 2002 as part of Spectrum Of The Bat series.